We’ve already witnessed a multitude of product launches at CES this year. Moving over to laptop announcements, we’ve already seen Intel powered always-on PCs, Acer’s new Chromebook, and others. 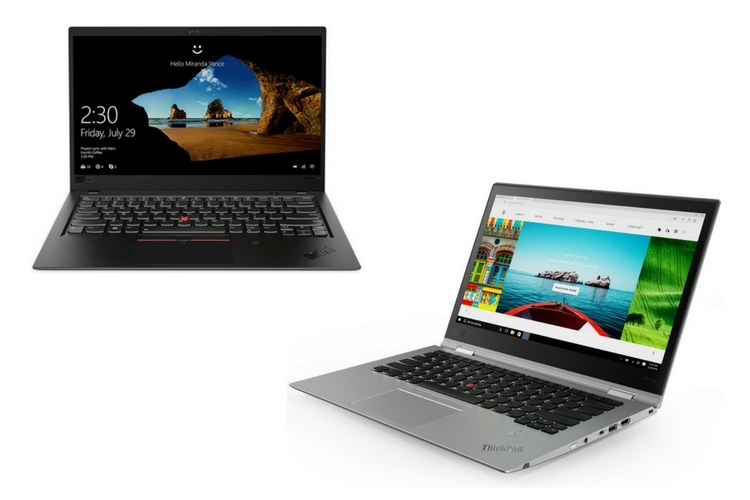 And now, Lenovo has also unleashed its 2018 models of the ThinkPad X1 Carbon and the ThinkPad X1 Yoga notebooks, in addition to a slew of ThinkPad laptops. The X1 is Lenovo’s premium line of ThinkPads, and they have always had a special position in the lineup. Now, these laptops have received three noticeable upgrades this year. First off, they have got quad-core 8th Generation Core i5/i7 CPUs, which by itself is a huge upgrade over the previous models. In addition to that, we are also looking at faster memory, Dolby Vision HDR WQHD displays, ThinkShutter webcam covers on these premium models. This year’s ThinkPad X1 Carbon and ThinkPad X1 Yoga have very similar chassis to last year’s models. But here’s a closer look at both these laptops. Weighing in at 1.3 kilograms, the new Lenovo ThinkPad X1 Carbon looks more or less similar to last year’s variant. Internally, it is powered by Intel’s quad-core Core i5/i7 CPU with built-in UHD Graphics 620. It carries up to 16GB of LPDDR3-2133 memory, as well as an SSD with up to 1TB capacity. Moving to display, we have two variants. The premium version of the ThinkPad X1 Carbon 6th Gen laptops will come equipped with 14” WQHD (2560×1440) IPS displays carrying the Dolby Vision badge. The regular variant, on the other hand, will retain its 14” FHD (1920×1080) IPS panels. 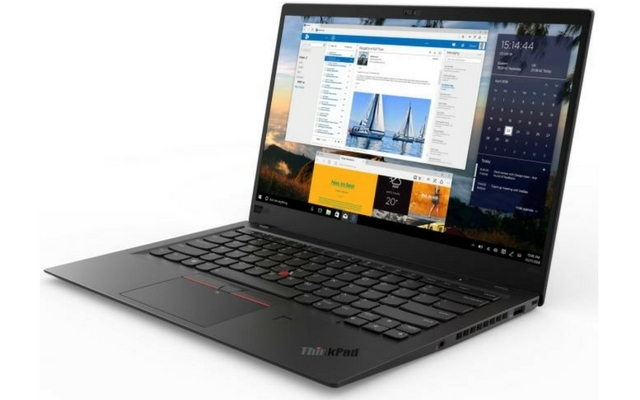 Lenovo is also expected to sell touchscreen version of ThinkPad X1 Carbon; however, there’s no official info about the same. The Lenovo X1 Carbon will be available later this month, and it will start at $1709. The third iteration of the ThinkPad X1 Yoga convertible also retains the same design as last year. As it’s a Yoga model, it can be flipped around to be used as a tablet, in which case, the keys retract into the body to lock them in place, and allowing for better grip in the hand. The innards of the ThinkPad X1 Yoga are pretty much similar to ThinkPad X1 Carbon. It is also powered by Intel’s 8th Gen processors with up to 16GB of RAM and 1TB SSD. In terms of the display, there are two variants of this notebooks as well. The premium version of the convertible will be equipped with the same 14” WQHD (2560×1440) IPS touch-screens carrying the Dolby Vision badge, whereas the regular variant will come with 14” FHD (1920×1080) IPS panels. 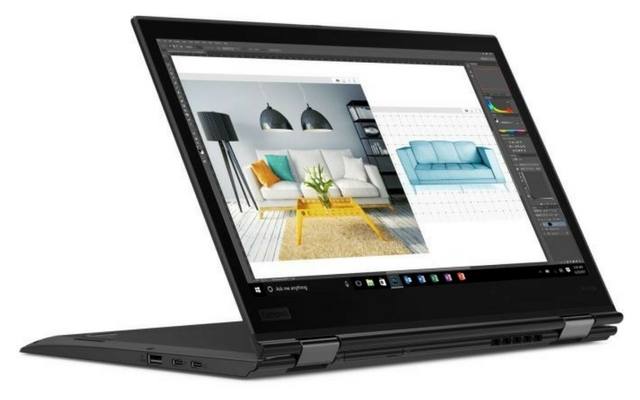 Speaking of pricing and availability, the Lenovo ThinkPad X1 Yoga notebooks will hit the markets this month, and it will cost $1889 for the base variant.